Wageningen University (WU) is one of the leading international universities in the field of healthy food and living environment. The top quality of research at WU is crowned with WU’s position within the top 6 of the important citation indexes of its domain. WU consists of one school which covers Animal, Plant, Environmental, Agro technology and Food and Social Sciences. WU, therefore, fosters the unique interaction between natural and social sciences. Both science domains participate in this proposal: the Animal Production Systems (APS) group from animal sciences, and the Rural Sociology (RS) group from social sciences. The APS group uses systems analysis to understand complex livestock systems in order to explore and design a sustainable future. This research group focuses on exploring the consequences of innovations in livestock systems (trade-offs and synergies), with a special focus on the relation between the impact on the environment, the welfare of the animal (including health), and economic viability. Research explores systems at farm, chain, and regional level, both in developed and developing countries. The aim is to develop systems that respect animals and their multiple functions, use resources efficiently, minimize emissions to the environment and are economically viable. The Rural Sociology (RS) group studies the dynamics of rural and regional development processes all over the world and is a leading research group in rural social studies. Specific attention is paid to the different levels at which transformation processes occur and are shaped, as well as to the different actors and institutions involved. Characteristic is the comparative and empirically driven research approach. Areas of expertise include styles of farming, rural transformation, sustainable agriculture, dynamics of food supply chains, rural-urban relationships, multifunctional agriculture, socioeconomic impact of rural development, land management and gender issues. An important feature of its research is the multidisciplinary approach. Equally relevant is the close cooperation with stakeholders and policymakers. Professor Imke J.M. 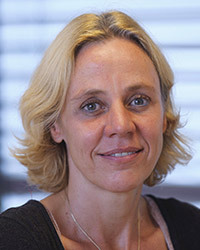 de Boer is head of the Animal Production Systems group, a chair group within the Department of Animal Sciences at Wageningen University. Her research group aims to provide an integrative analysis to underpin sustainable innovation in animal production. APS especially focuses on exploring the multi-dimensional, and sometimes conflicting, consequences of innovations (trade-offs and synergies) in livestock systems across the world, with special focus on their impact on the environment (i.e. efficient use of resources and on emissions to air, water and soil), animal welfare (i.e. behaviour and health) and livelihood of people (i.e. farm income, volatility, employability, and food security). She published 102 papers in double-refereed journals, and >150 other papers. So far 14 PhD students graduated under her supervision, and she is supervising 24 PhD students. 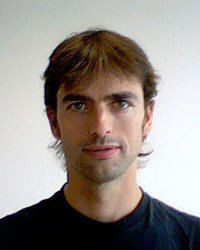 Raimon Ripoll Bosch is a postdoctoral researcher and staff member of the Animal Production Systems group at Wageningen University. He holds a PhD degree (Universidad de Zaragoza, Spain) in sustainability analysis of livestock systems. His current research is centred on sustainability analysis of livestock production systems, including the social, economic and environmental dimensions. He especially focuses on understanding the interconnections between the food provisioning role of livestock systems, and other, non-food provisioning services of livestock systems, i.e. ecosystem services. Other research topics of interest include: global change and agriculture; dynamics and resilience of livestock farming systems; climate change mitigation and adaptation; and (natural) resources management in agroecosystems. 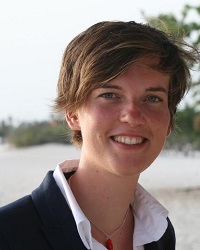 Evelien de Olde is a postdoctoral researcher at the Animal Production Systems group at Wageningen University. From March 2014 to 2017, she was a PhD fellow in the Operations Management group at the Department of Engineering at Aarhus Universityin Denmark. Her PhD project focused on the contribution of farm-level assessment tools to the sustainable development of agriculture. The project was carried out in collaboration with the Animal Production Systems group at Wageningen University, as a Double Degree PhD. Key topics of interest include: sustainability assessments of livestock production systems, innovative farming concepts, (social) systems theory, land use planning and urban agriculture. 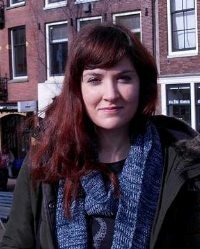 Akke Kok is a post-doctoral researcher at the Animal Production Systems group at Wageningen University and Research (WUR). She holds a MSc in Environmental Biology from Utrecht University. Her MSc theses focused on plant ecophysiology and animal behaviour. 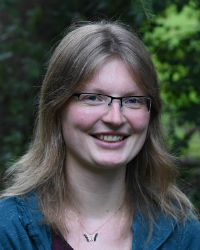 She recently (2018) finished her PhD on sustainability impacts of shortening or omitting the dry period in dairy cows at WUR's Animal Production Systems group. Within MAGIC she focuses on gaining insight into indicators of biodiversity and exploring the interface food-biodiversity. After graduating in Anthropology from the University of Malta I decided to apply my knowledge of human socio-cultural systems to understanding global economic and environmental problems. I attended Durham University in the UK where I studied the interactions between sustainability, human cultures and international development. After briefly completing an internship with a human rights NGO in Malta, I worked for the Maltese Ministry of Sustainable Development, Environment and Climate Change, following EU and international environmental policy and sustainable development issues. Here, I was lucky enough to attend the United Nations Environment Assembly as part of a Ministerial delegation and get a closer look at policy-making on a global scale. At the University of Wageningen as part of the Animal Production Systems Group, I will be looking at feed-food-fuel dilemma in the increasing demand for biomass to fulfill our energy and nutritional needs. My research will examine important trade-offs between food production intensification and environmental impact, the use of advanced biofuels, land use and crop production and the use of GMOs to enhance food production in the search for food security, lower GHG emissions and environmental degradation.